The sweetness of adversity is noticeable, sometimes, only in retrospect. I was in my early twenties, a law career abandoned, my prospects vague, employment meagre and resources negligible. Old associates from university were landing gainful positions in legal practices, finance companies, even seats in parliament. I was taking time out to think, working in an old people’s home because I felt I’d never actually done anything useful; in those days I liked to see things in primary colours. As a younger child I had suffered terrible asthma. This meant long nights contemplating the meaning of existence and the elusive nature of breath. In those dark, insomniac interludes I discovered writing, not as an activity, but as a way of being. In imagination I could jump and laugh and play while the other form, the physical lump, hunched over the desk inert and incapable. I never went anywhere without my inhaler. And, after a while, I never went anywhere without a pen and paper. The asthma passed, thankfully. The urge to write has not. So that’s the impulse, carved into my soul as hungry as the need to breathe. What amuses me, looking back, is that I never quite made the equation between writing and earning. I wrote and wrote; all kinds of things, scraps, notes, short stories, poetry, the beginnings of novels, one of which I rewrote as a television script. One day my brother came to visit. I was out, but my girlfriend (now wife) was in. They dug up that script and sent it to the BBC. A few weeks later I was astonished to get a letter. Why the hell would the BBC be writing to me? They said they weren’t sure about the script, but were interested in the passion behind it. I went to see them, was assigned a mentor (who remains a great friend), received guidance, was encouraged to write for theatre, was mercilessly criticised and generously praised. Eventually one of my stage plays led to a radio commission, to an agent, to my first television gig. I have been busy ever since. I am busy now. I even teach a little, while writing, and am constantly amazed to see that same passion, purpose and crazy leap of faith reflected back at me from a roomful of young faces. The routes into professional writing are clearer these days, with myriad courses across the country at every level of education, but faith, passion and craziness are still the price of admission. The most accomplished writer remains threaded to his younger self: the long nights, urgent needs, quiet thoughts and private dreams that shape the mind and heart. That I wrote for love over reward might seem quaintly noble but it was merely realistic at the time. Perhaps you can’t tell a story you haven’t lived, nor understand your story until you’ve told it. Still, I do exhort my students not to be shy about getting their work out there (lights under bushels and all that). And I wonder sometimes – not without a little chill – what would have happened if I’d been in, that day, when my brother called. 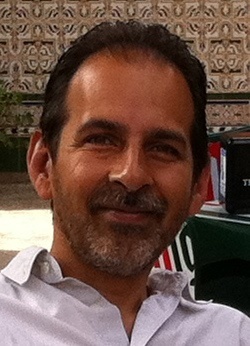 Robin Mukherjee has written extensively for television, radio, film and theatre. His most recent television feature was nominated for a BAFTA. His film ‘Lore’ won numerous international awards and was Australia’s official entry to the oscars. He has recently been appointed as a lecturer in scriptwriting at Bath Spa University and is currently completing the MA Creative and Critical Writing at the University of Winchester. Present projects include a feature film adaptation of Paul Scott’s Booker Prize winning novel ‘Staying On’, and contributions to Series 2 of ‘Hetty Feather’ for CBBC. 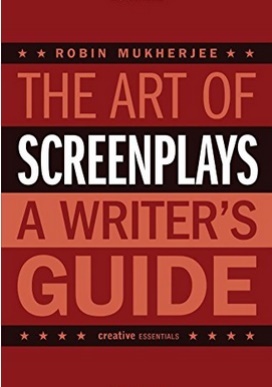 Robin’s book, The Art of Screenplays: A Writers Guide was published last year. This is a working handbook for writers with stories to tell. Addressing the key issues of creativity and craft, its aim is to connect with our natural understanding of story, to demystify the screenwriter’s art, and to enable fresh, original and authentic writing. This entry was posted in Guest Bloggers and tagged author, MA Creative & Critical Writing, publishing, Robin Mukherjee, The Art of Screenplays, University of Winchester, writing by Litmus 2015. Bookmark the permalink.